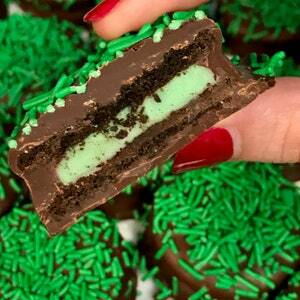 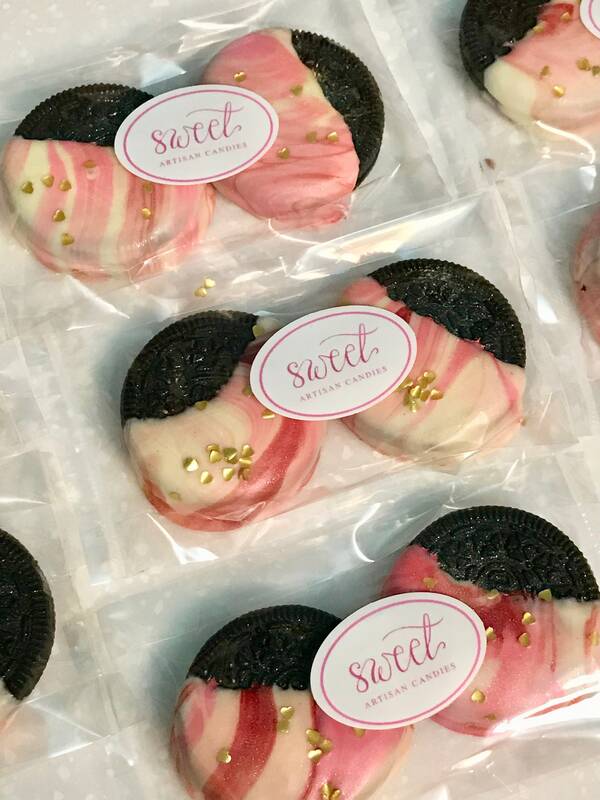 Spring time is finally here and to celebrate I have made Marbled Spring Oreos! 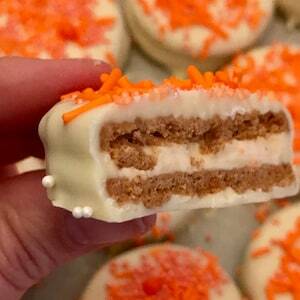 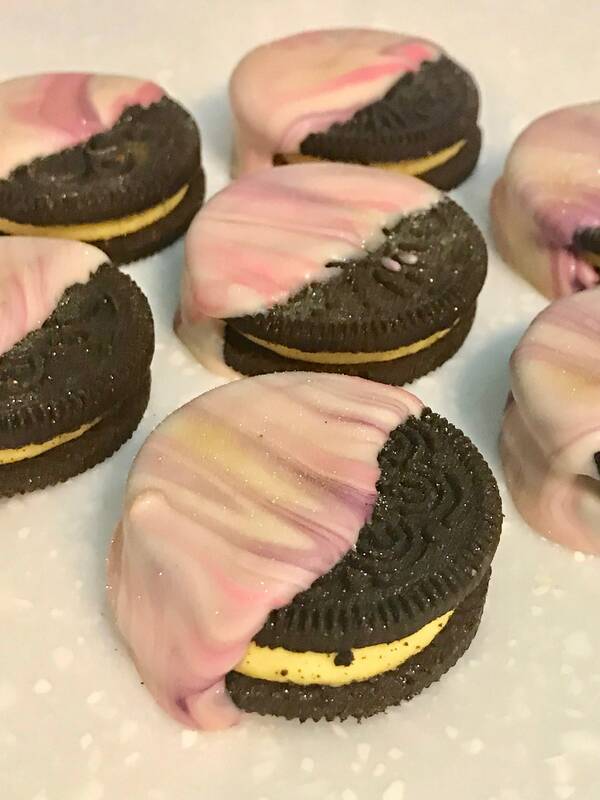 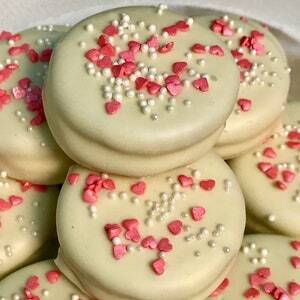 The Oreos have a Yellow filling, adding to the Pink and Purple marbling in White Chocolate! 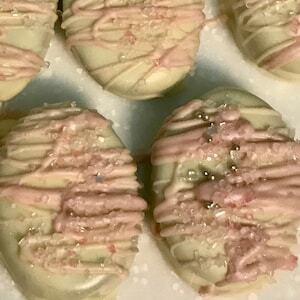 They are finished with a spritz of edible gold powder!